Whether you believe in ghosts or not, the stories you hear during ghost walks are typically full of historical tidbits and entertaining lore. I’ve enjoyed many of them, so I was happy to go on the Huntsville ghost walk as part of the TBEX conference in Alabama this year. 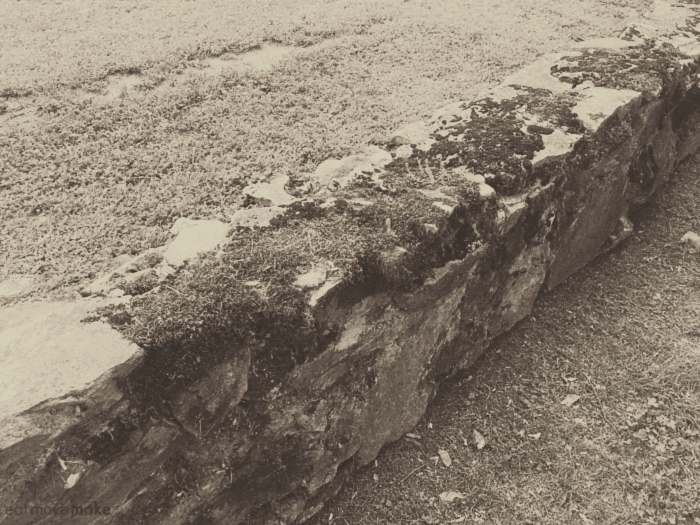 It was different than other ghost walks I’ve taken because the stories come by way of a medium who visited the various “haunted” buildings in Huntsville. What you’ll hear are the medium’s experiences and follow-up research by the tour company. Unusual, but still entertaining. 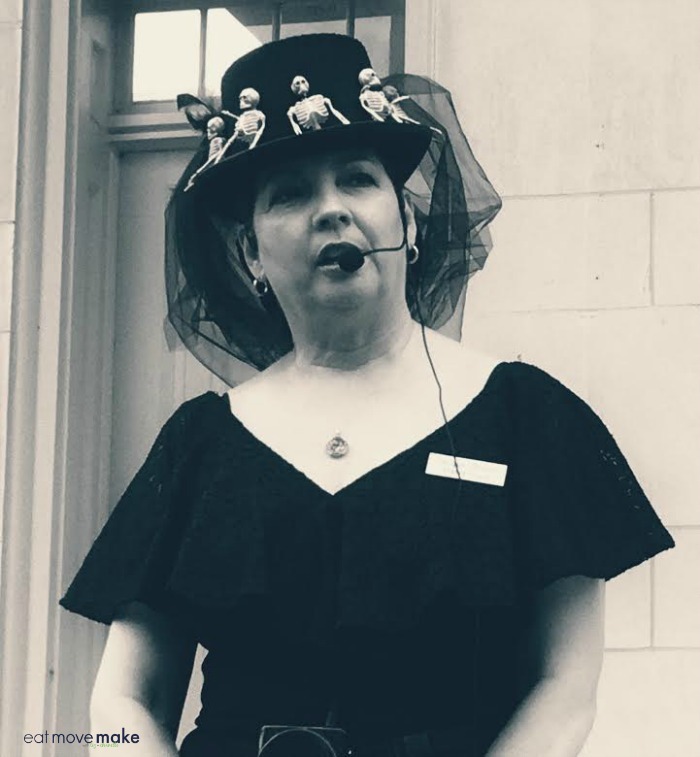 Our Huntsville ghost walk guide was Jacque Reeves, and although she didn’t mention it, I found out she’s the author of numerous historical books. Ghost tour cred. The Weeden House, now a museum, had one of the most interesting stories, and by the reactions of the two dogs along on the tour, it was the most haunted of the bunch. Maria Howard Weeden, a renowned watercolor artist under the name of Howard Weeden, painted portraits of formerly enslaved people. Her family home was confiscated by the Union during the Civil War, and when they returned, it had been ravaged and their finances were in disarray. She began to sell her artwork to help make ends meet, including 5-cent postcards (which are worth a fortune now). She died of tuberculosis in the same room in which she had been born. At the Weeden House Museum, the dogs on the tour were clearly agitated and uncomfortable. People have seen a woman walking and have heard a grandfather clock (without any working parts) chiming. It’s also said to be a “weeping” house because there are areas where they can’t get the paint to stick on the walls, either inside or out. Our guide told us the house is sad because of what happened during the Civil War. 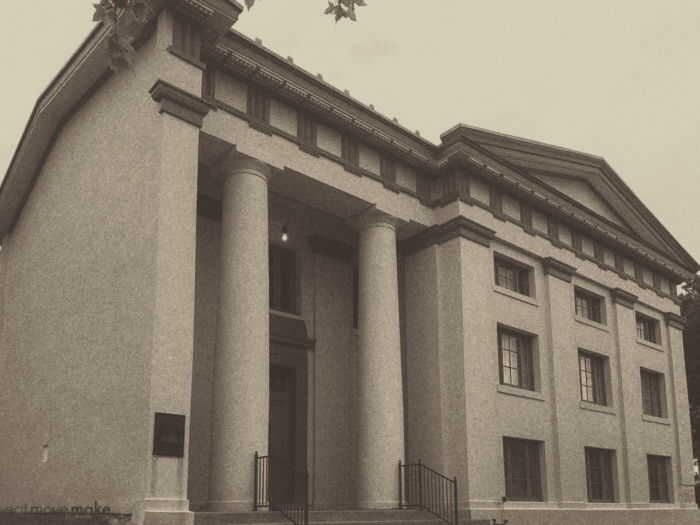 Helion Lodge #1, the oldest Masonic lodge in Alabama is said to be surrounded by death. Members of The Knights Templar (the originating faction) took a vow of poverty, so the organization itself became very wealthy. The King of France and the Pope wanted the money themselves and tricked The Knights Templar into going to France under the guise of making peace. It was on Friday the 13th when they were arrested and tortured to death. When Grand Master Jacques de Molay was burned at the stake, he issued a prediction that the king and Pope would both be dead before the year was out. That proved itself true. The original building extended to the left, but a tornado wiped it out, and all that remains are the staircase and doorway. People have seen ghosts of men in the building, and a ghost has been seen walking through that doorway from/to nothing. Spooky! The stone wall in front of the lodge is largely made of cemetery headstones. There were lots of other stories as well, but those two stood out to me. Whether any of the ghost tales are true or not, I have no idea, but it’s more fun to believe them, right? Take two photos of everything. Use one as a benchmark and one to see if anything is different. You may spot a ghost or an orb, but don’t expect it. Most people never see a thing, myself included. If your camera stops working, that’s the ghost’s energy interfering. It will start working again when you move to a new location. I saw this happen to a friend of mine. Ask in advance if pets are allowed. The Huntsville Ghost Walk is dog-friendly, and dogs are very sensitive to the paranormal, so bring yours along. The two dogs on my tour both reacted strangely at the same spot on the tour. Eerie! Wear comfortable shoes made for walking, and keep a watchful eye out for sidewalk tripping hazards. Research the tour options and make a reservation in advance. There are three walking tour routes from which to choose: Old Town Historic District, Twickenham Historic District, and Haunted Downtown. Also available seasonally is a Haunted Trolley Tour. Be on time for the tour. Not only is it rude to keep other guests waiting, but tours often operate under strict city-arranged timelines as to when they’ll be in certain places. Tip your tour guide; it’s common courtesy. Thank them for a job well done. 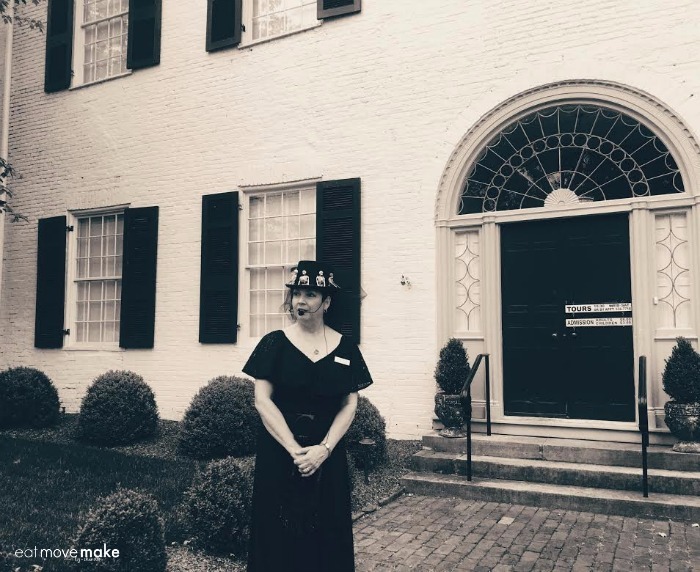 For more information on the Huntsville Ghost Walk, visit the Avalon Tours website. Fun! I always love these fun tours! You always post the best places to visit, I need to come to the East Coast! I have always wanted to take a ghost walk. I have seen and heard about some good ones. This one sounds like it would be pretty awesome. oh this looks really fun. i have never been there but if i’m ever in the area i will check it out. Boy, I like the style of your photos! They almost make me feel as if I was there. I just love hearing the history of old towns! This tour sounds great! Yikes! Sorry, not my cup of tea. I will be scared out of my wits just to know what went on in those buildings. However, I know my boys will love this. They’ve done this kind of tour before with their friends and they said it was fun. What an awesome tour experience! I really appreciate all of the history involved and hooray for dogs being allowed to come along. Ohhhh ghost walks are SO much fun! I have done them in Key West (that one totally freaked us out) and Savannah. I’ve heard of a ghost walk once or twice before but have never had the opportunity to go on one. It sounds like something my oldest would absolutely love. I’ve always wanted to do one of these! Almost did in New Orleans and wishing I would have! This would be so cool to experience. We have ghost tours in Asheville and did one of them a few years ago and it was a lot of fun. 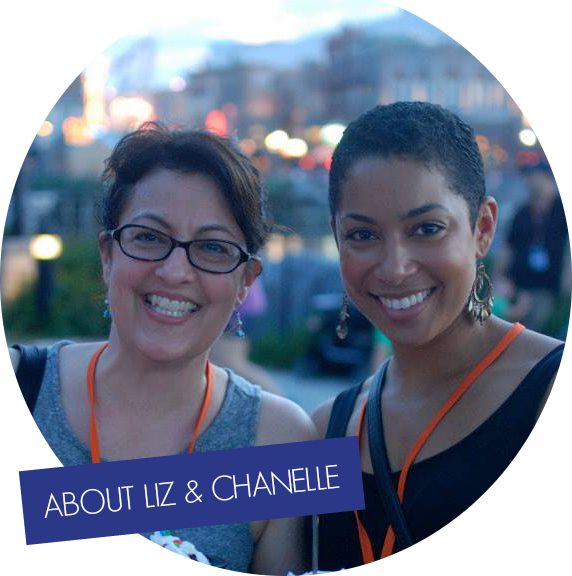 Plus I learned a lot more about where I live! This sounds like so much fun. My best friend would love it. What a fun way to get to know a city. Creepy yet certainly cool! It is always so fun to go on a ghost walk and learn some of the towns history. I would love to go on the Huntsville ghost walk. This is something I love to do. I will have to check out the Huntsville ghost walk the next time I am in the area. I’ve never been on a ghost tour, but this looks so fun!!! I hear they are all the rage. This sounds like a blast! I love ghost stories and horror movies, so this is right up my alley. I’ve never been to Alabama, but this sounds like it would be a great thing to partake in on a trip there. Ghost tours in various cities and they are always a blast!! This was definitely an interesting tour and so unusual how the dogs both reacted at the same spots. Spooky for sure! I’ve always loved ghost tours. I’m not sure that I believe in ghosts, but I enjoy the history of the stories and the area itself. I am such a scaredy cat. Not sure I could do a ghost tour! My husband though, would love it! You are braver than I am! I would freak out on any one of these tours! I do know a lot of friends that love this kind of stuff so I will definitely tell about this place! I LOVE this stuff, so this would be the highlight of my trip to the area! I want to take this tour SO bad. I know some people that would love this but as for me, I don’t do ghosts or anything spooky. I’m a big chicken. That looks like fun. I’ve never been on an official ghost tour. I like your tip for taking two photographs. Makes sense now that you’ve mentioned it. This has got to be something that I would do when in the area. Things like this generally are fascinating as well as hearing about the interesting history. Good tip about taking 2 photos to see if there are any changes! Oh fun! I love haunted tours like this, and I think it’s great that she’s all dressed up in spooky attire. That sounds like so much fun! We have one of these in Georgia and it’s always a good time. These tours are always so exciting and scary! 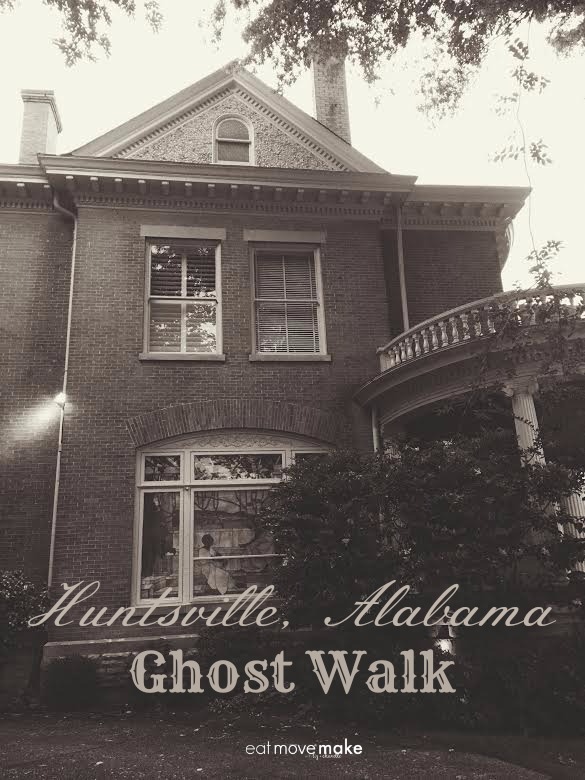 I would love to experience a ghost walk in Huntsville. It looks like there are plenty of stories to learn about while you’re going ghost hunting!